Electroform supports all design stages of product development, from conceptualization to design to analysis. 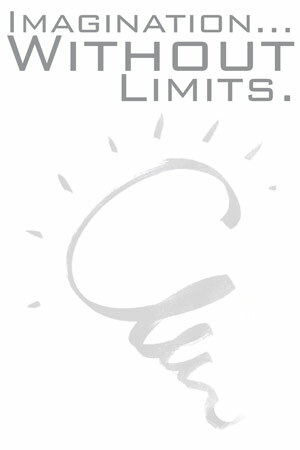 Our applications include Moldflow, Pro/E, Unigraphics, and SolidWorks. Our solid model designs are seamlessly integrated to manufacturing and quality. Our strong commitment to R&D allows customers to take advantage of the latest and future injection molding technologies, compressing the time line of projects and bringing products to market faster. 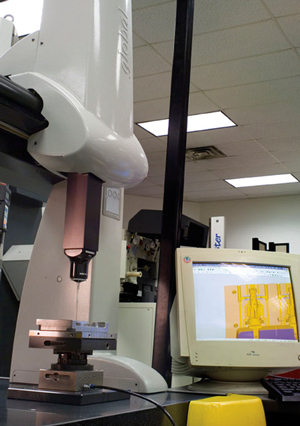 Modern equipment and in-house automation development allows Electroform to provide the most advanced mold and molding technologies available, and this in turn uniquely positions us to assist each customer in selecting and implementing the technology best suited to their application. 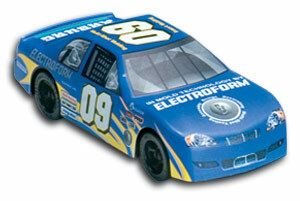 The car was manufactured with patent pending process developed by Electroform. It is one of several industry leading developments completed by our manufacturing group. First a label is inserted in the mold. 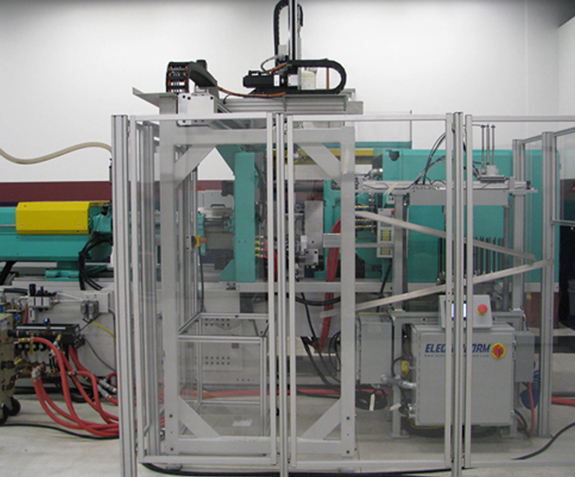 Six separate parts are molded and then mechanically assembled in the mold without the aid of external automation. A robot removes the fully assembled car out of the mold. Multi-material molding, multiple labeling options, decorating options, and inserting components are just a few of the possibilities.